Well, hope everyone had a great holiday! 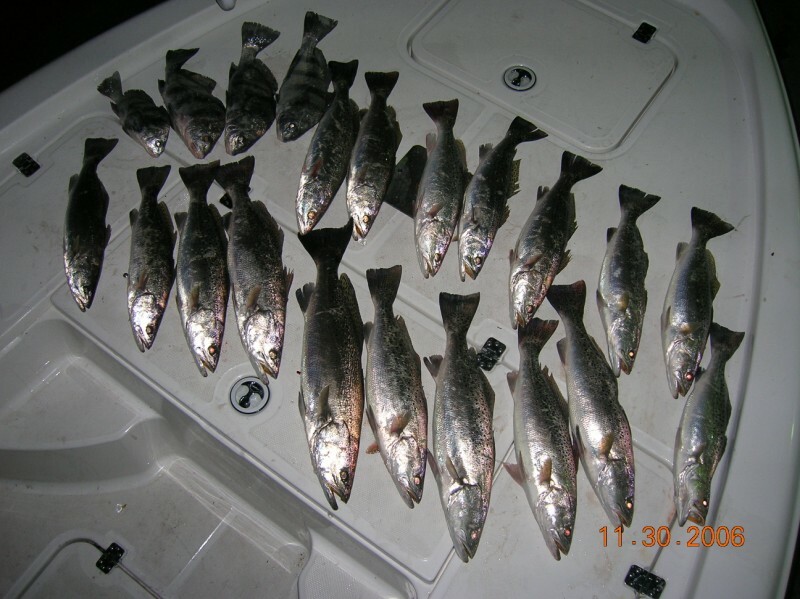 My wife and I got back from the ATL on the 27th and i stepped back on the boat at 5 am on 28th hoping for some striper, trout, and drum. 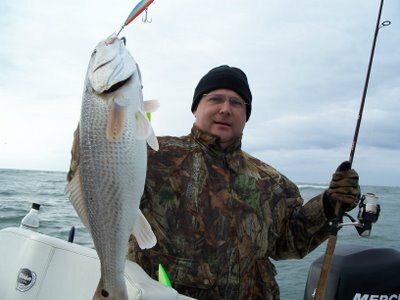 Well, we worked everything known to man for striper for several hours at daybreak to no avail.... although we did manage some pretty upper slot redfish. 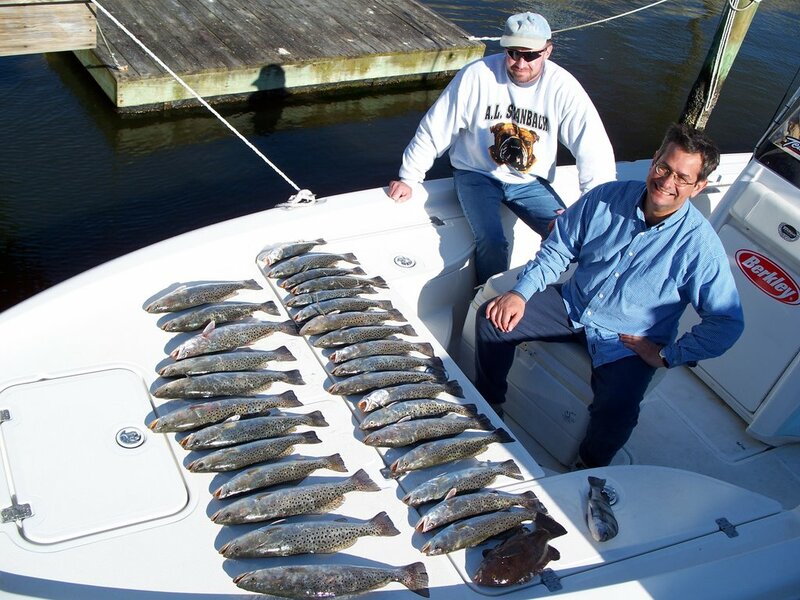 Later we moved on to catch some pretty speckled trout to top off the cooler with fish. 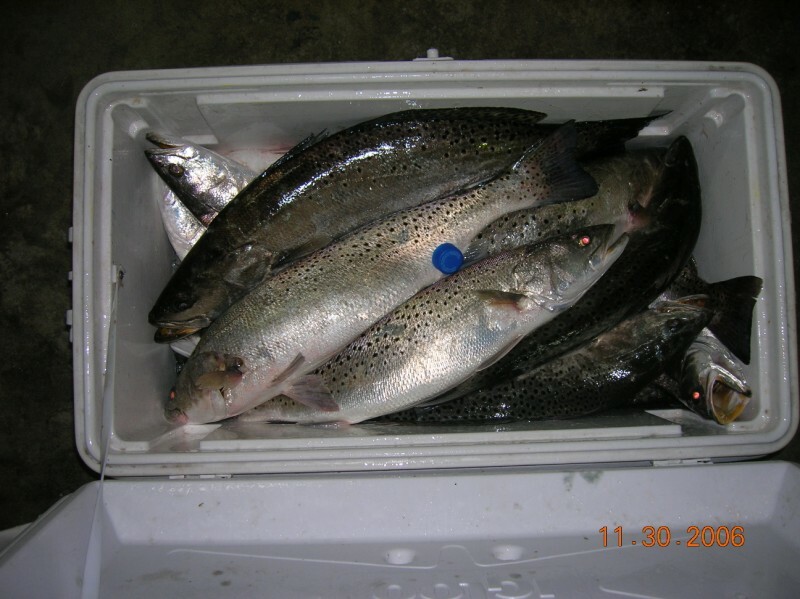 Then on the the 29th with Folden Lee and co. onboard we started off on the trout and worked a slow bite. 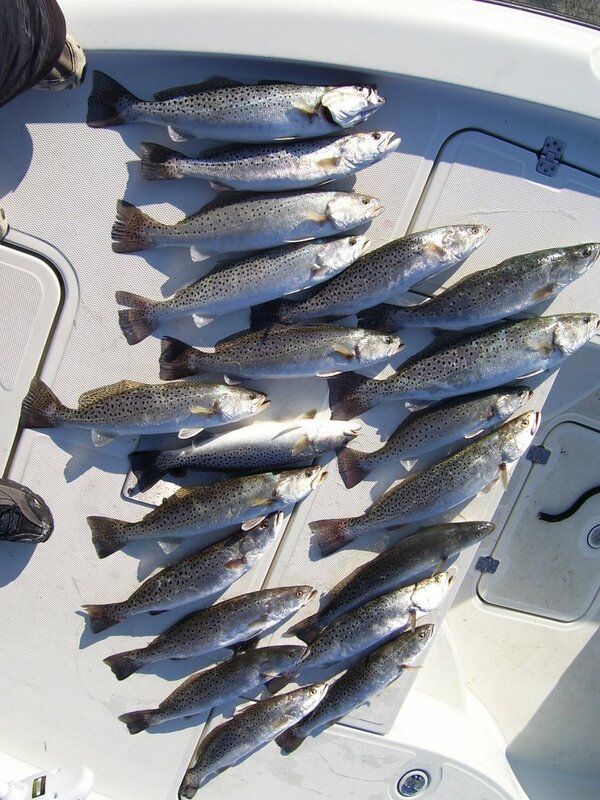 We boated about 20 trout with 12 from 16in to 23in. and a few smaller fish. 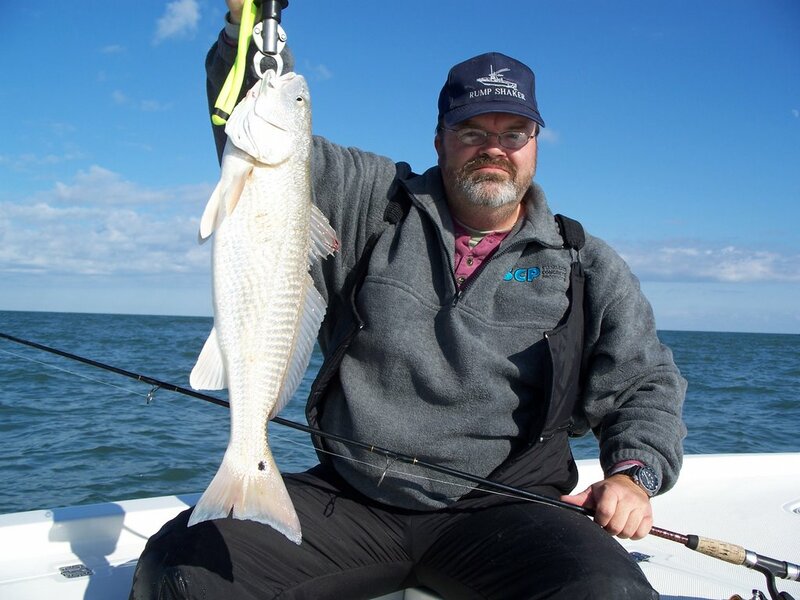 Later, we moved on looking for the larger slot sized redfish and weren't able to land any....only a short flounder in the process.... but that's fish'n.... Sat. 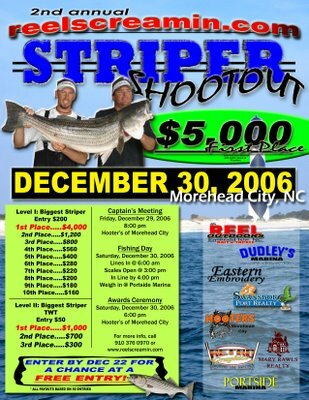 the 30th my team-mate, Mike Taylor, and I opted to sit out on the local striper tourny this season as we had scoured the coast looking for several days to no avail.... well, that proved to be a good move as no striper were weighed in.... instead, I slept in and jumped onboard the Triton at 7:15am to locate the trout bite here in swansboro. 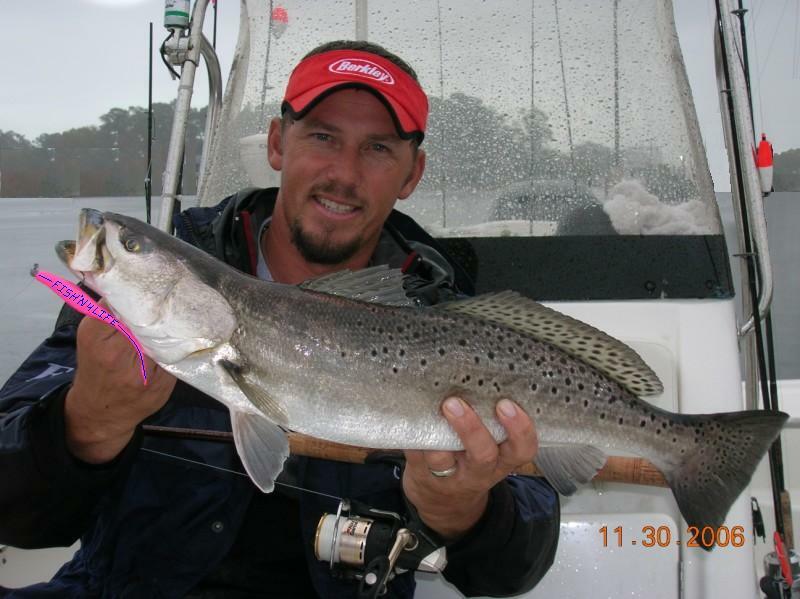 I lucked out and found a few trout just after first light... managed 6 trout before moving on to locate some redfish for upcoming trips here in swansboro.... The redfishing will be hot here in Swansboro in January through March as we have one of the best fisheries in the State... Capt. 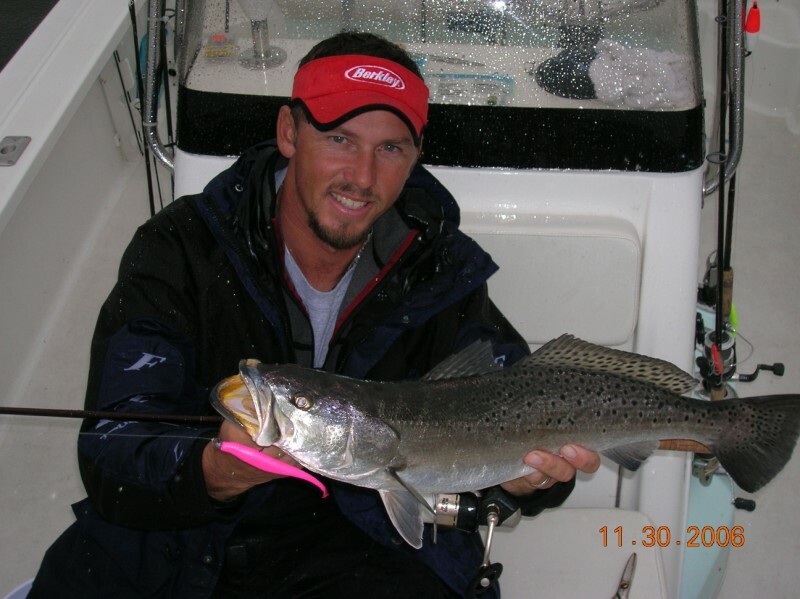 Jeff Cronk. 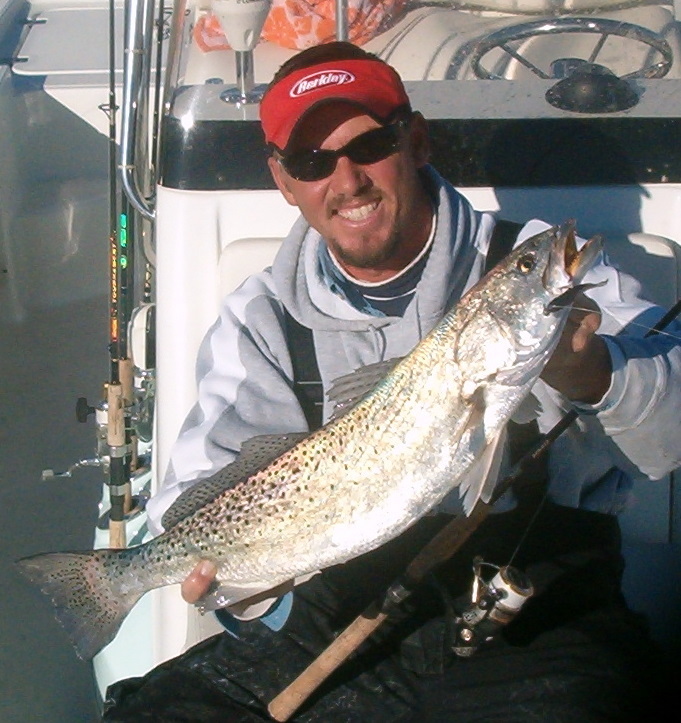 FISH'N4LIFE CHARTERS. SWANSBORO, NC 1-910-326-7512 or 336-558-5697. 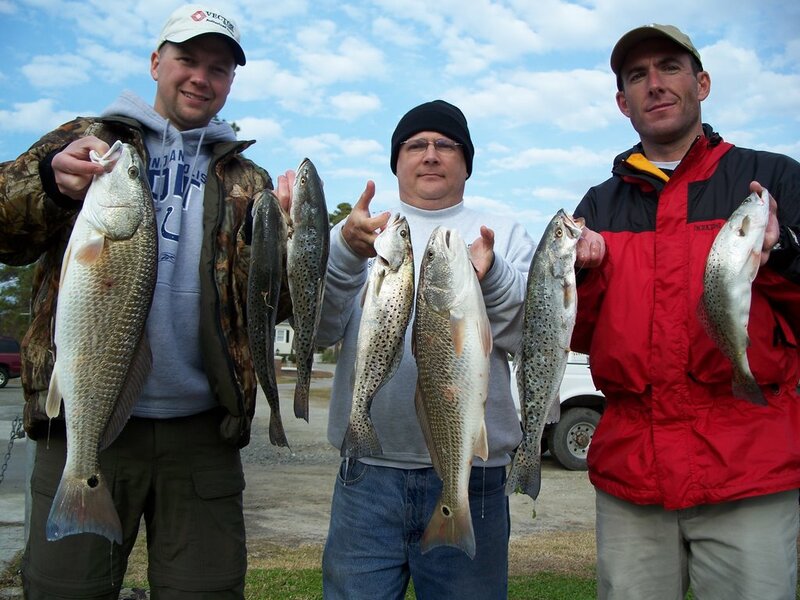 12/21/06 Trout and Whitewater Redfish! 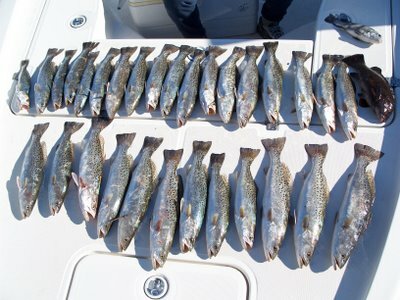 6hr trip this morning hoping for some speckled trout, Redfish, and Stripers.... Well, the trout bite was slow this morning but my crew managed to land about 20 speckled trout with 7 from 1.5 to 2.5lbs and lots of smaller fish. Along with the trout were some 15 to 17in puppydrum. Shortly after the trout bite picked up we opted to head on and look for some stripers.... Well, hundreds of gannets everywhere in the shoals and very fishy looking but no linesides... it was a little tough getting close to the whitewater but we found several safe pockets that allowed us to reach the shallows. 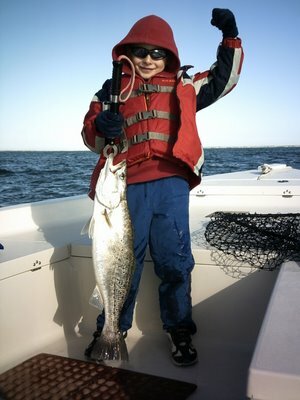 We managed to find a school of redfish in the upper slot and landed 5 along with a flounder and a couple of bluefish. 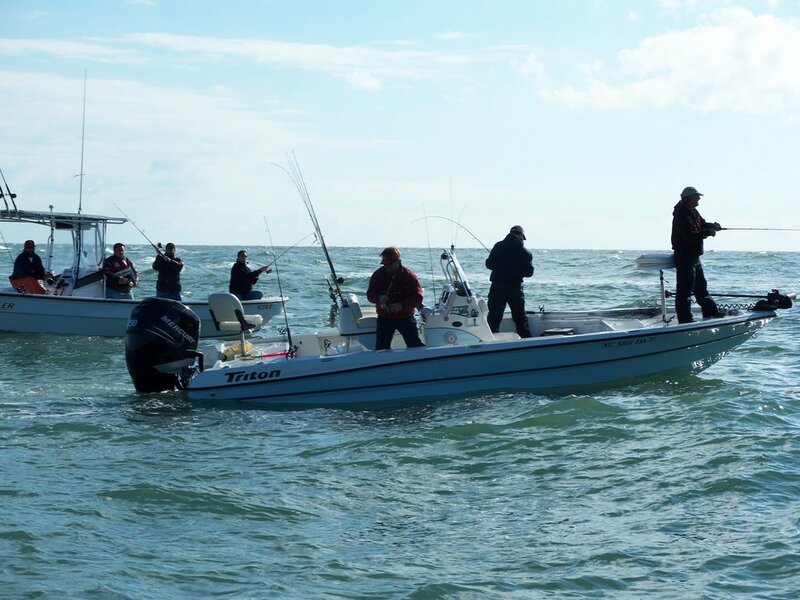 Water temps on the east side were 59degrees.... i'm sure there are some stripers in the area but the rough water wouldn't allow us to work it good... and we only had a shortwhile to look. Great work guys! Look forward to having you onboard again soon. Sun. 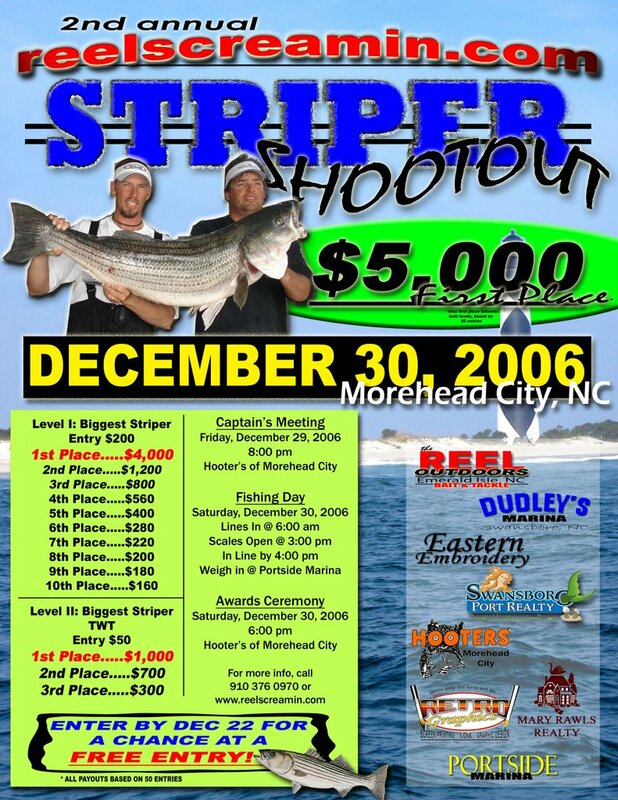 12/17 Well, headed out to the shoals for a short while this morning to look for some striper and had Dr. Bogus aboard. Absolutely no bait and no fish to be found on the shoals so, we eased down the beach toward some gannets and bait. We hovered over a good school of 12 to 16in shad and dropped the deep jigs down... First drop and I had something large hooked up... thought it was a striper but it turned out to be a very large redfish. The length was approx. 45-47in. and the girth was 32-34in. not sure exactly what it weighed but it was definately over 40lbs. Anyone have an idea on a weight for these measurements.... 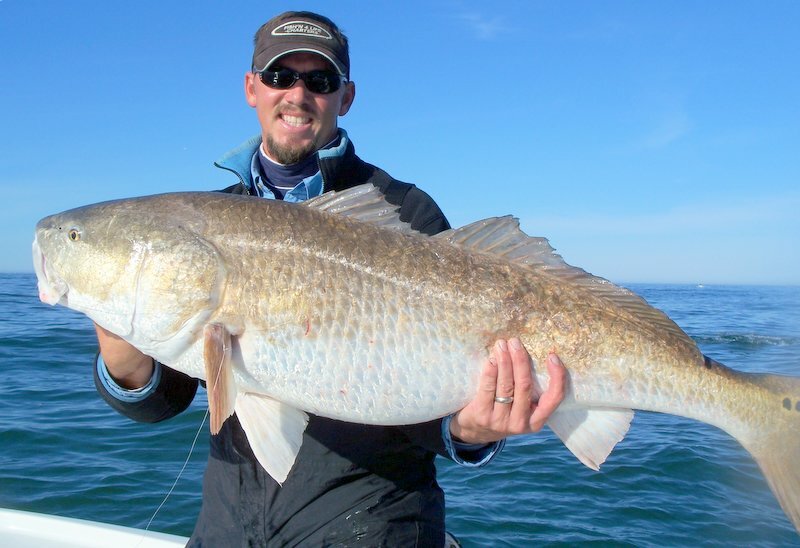 I don't trust the fish weight calculators for large fish like these... it said the fish weighed between between 58 and 67lbs....for those two sets of measurements. again, I don't beleive that.... just curious if anyone has weighed a red with these measurements.... She had a massive belly on her.... We called Capt. 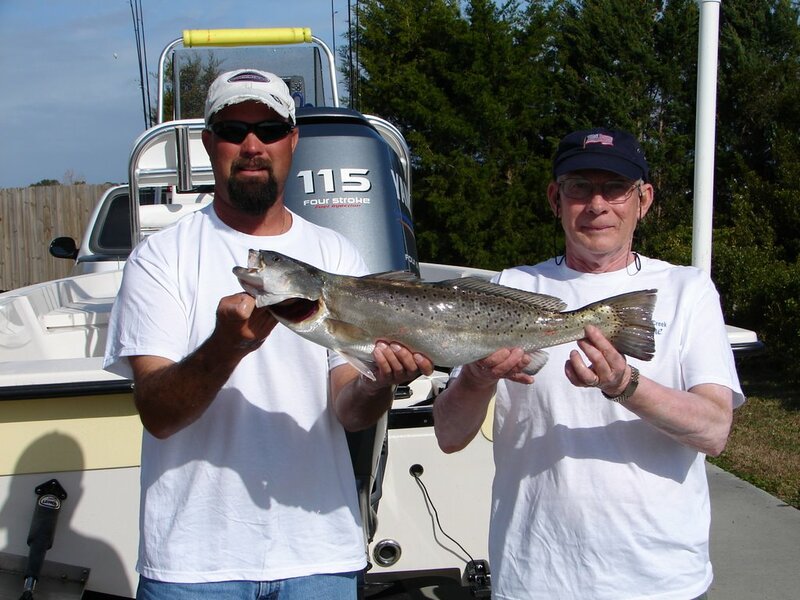 Rick Patterson over and his father hooked p with one about the same size also on light spinning tackle. On the way back to the dock we stopped along the beach and managed to land about 10 trout with the largest at 2.5lbs and two flounder. 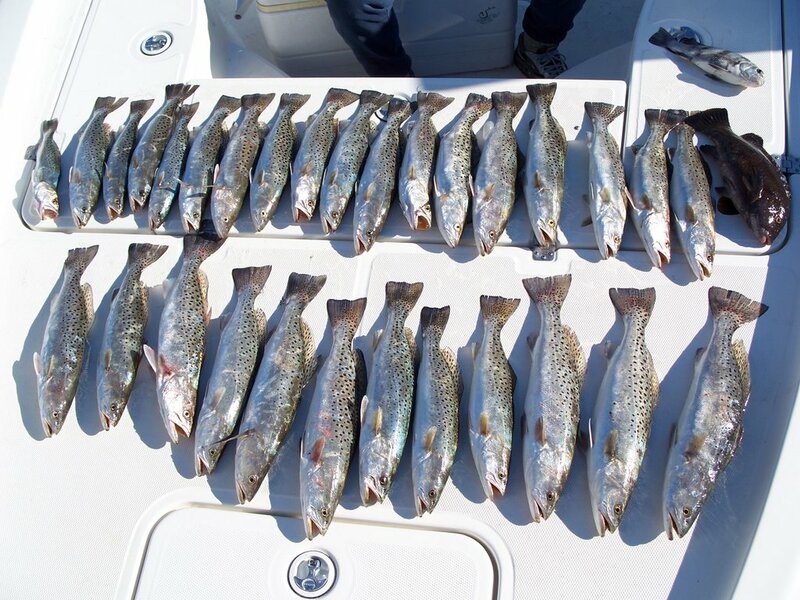 Great morning on the water! Capt. Jeff Cronk- FISH'N 4LIFE Charters 910-326-7512..
12/16/06 Great Day on the Trout! 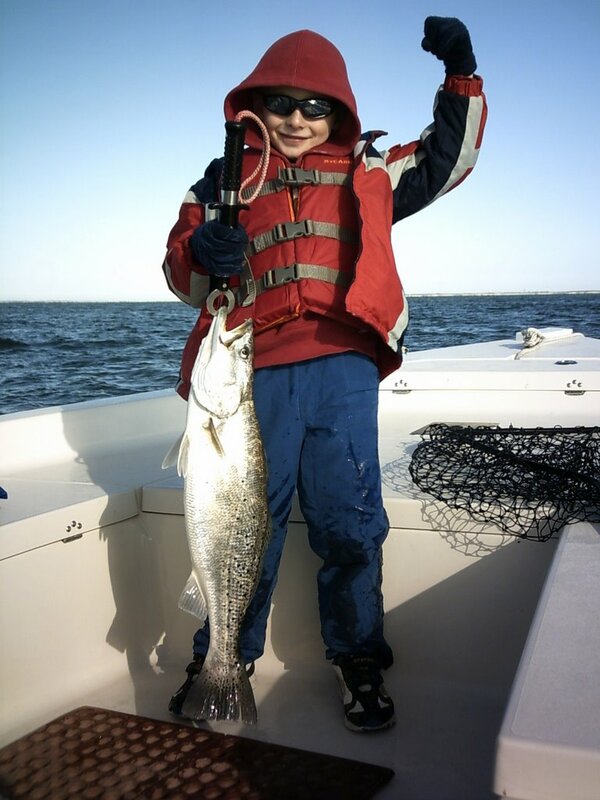 Tues. 12/12 5.8lb Speckled Trout! 12/9 6lb 13oz Citation Trout! Trout and Reds all Morning! 11/30/06 40 Speckled Trout 4lb, 4.15lb and 5.2LB CITATION!